The fans can't keep calm as they wait with bated breaths to see this fresh pairing of these super talented actors onscreen. As Bollywood awaits the return of its stellar actor Irrfan Khan, there is some good news for his fans. 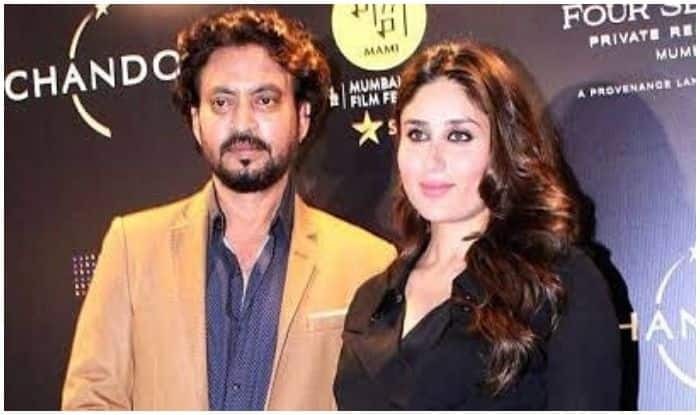 While producer Dinesh Vijan confirmed the news of the movie being directed by Homi Adajania, it has been learned that Irrfan will soon be returning to the big screen to work on the sequel of his 2017 hit film and what’s even more exciting is the fact that Bollywood diva, Kareena Kapoor Khan has been approached to star opposite him. According to Pinkvilla sources, the makers are awaiting Kareena’s nod to play the leading lady opposite Irrfan. The fans can’t keep calm as they wait with bated breaths to see this fresh pairing of these super talented actors onscreen. Irrfan was diagnosed with high-grade Neuroendocrine tumor last year and has been undergoing treatment for the same in London, battling the disease like a boss. As for Kareena, the coming year promises to keep her kitty full to the brim as the actress has recently been roped in for Dabanng 3, has started shooting for Good News with Akshay Kumar, Diljit Dosanjh and Kiara Advani and will also be feature in Karan Johar’s Takht co-starring Ranveer Singh, Janhvi Kapoor, Vicky Kaushal, Anil Kapoor, Alia Bhatt and Bhumi Pednekar in key roles.